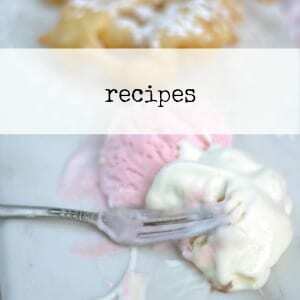 This recipe is one of my go-tos and has been for years. 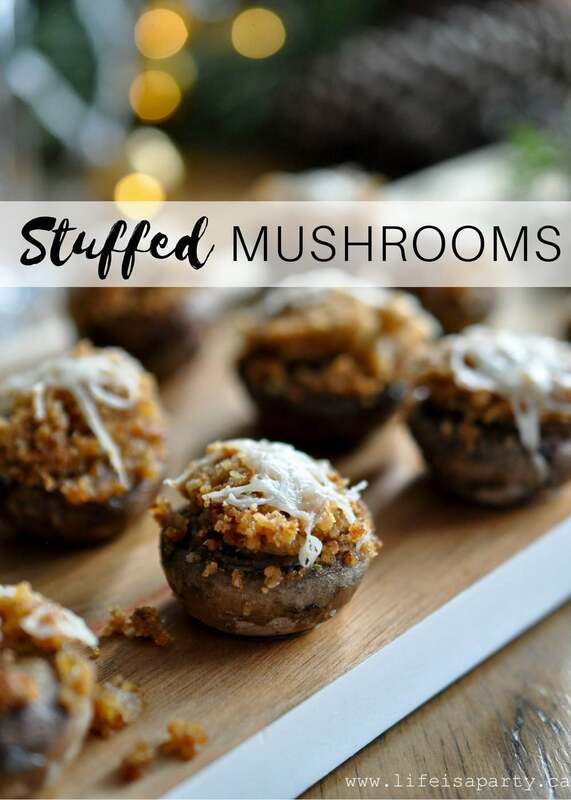 These Stuffed Mushrooms are the perfect treat for the holidays for everyone one who loves mushrooms. 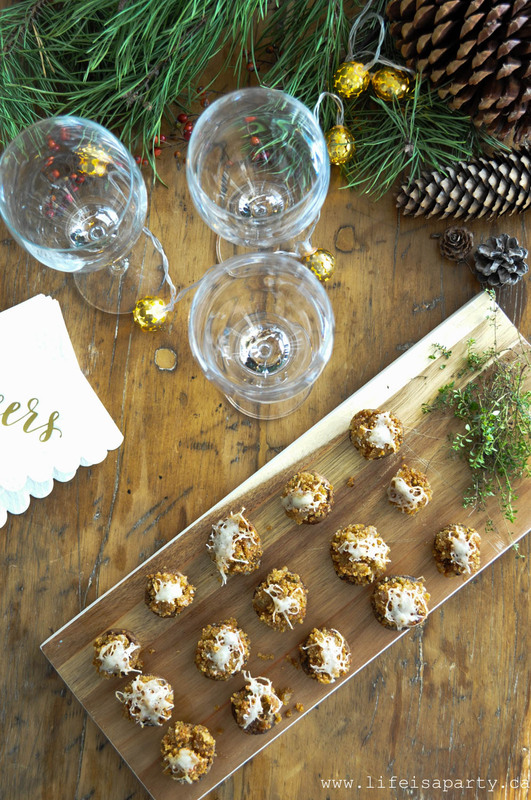 Today I’m joining in with some of my favourite Canadian bloggers to share lots of holiday appetizer ideas, so be sure to check out all the other great recipes at the end of the post. 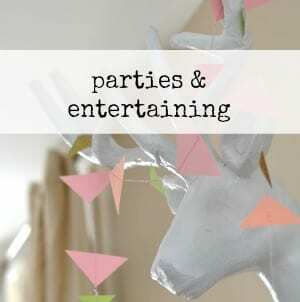 These mushrooms are always the first to go at a party -and I’m often asked for the recipe. 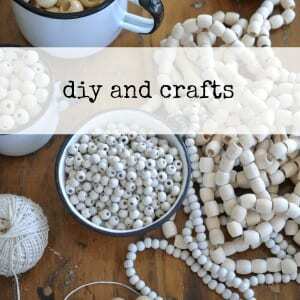 Wash mushrooms and remove stems. Finely chop the stems. In a skillet over medium heat melt butter. Add in the finely chopped mushroom stems, and onions, and minced garlic. Add in salt, pepper, and thyme. 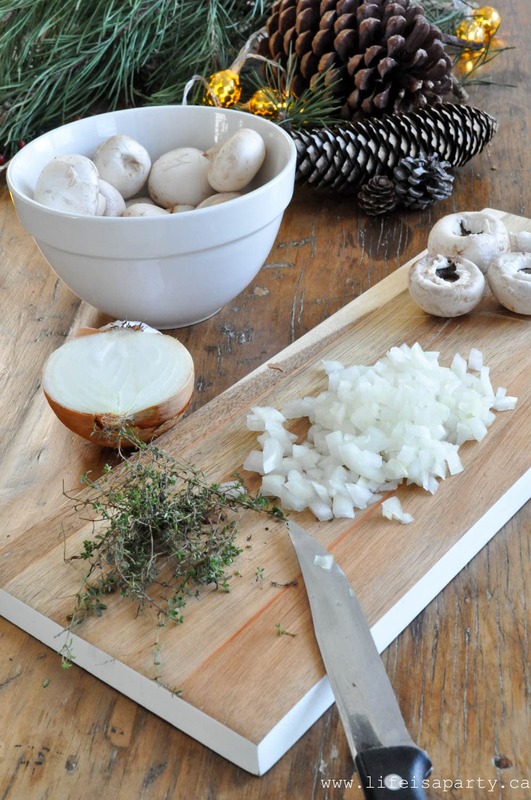 Cook until onion is softened. Add bread crumbs and stir well to combine into a stuffing. 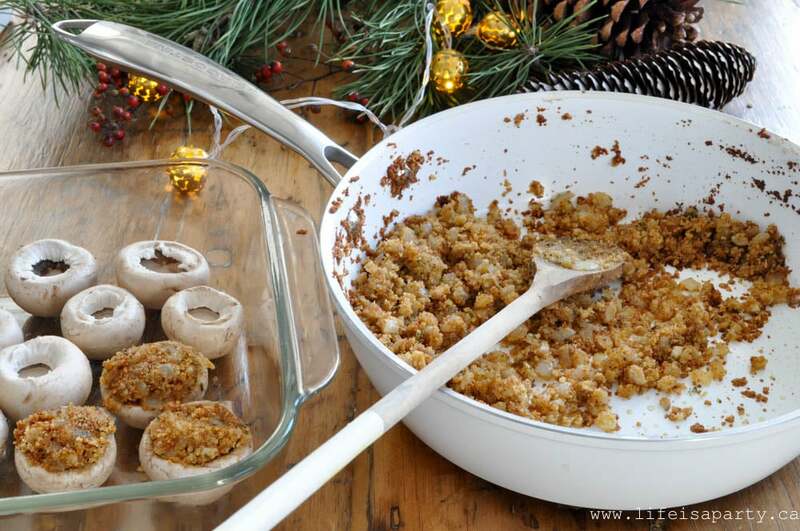 Using a small spoon, stuff the mushrooms firmly with the stuffing mixture -you may have a little left over. 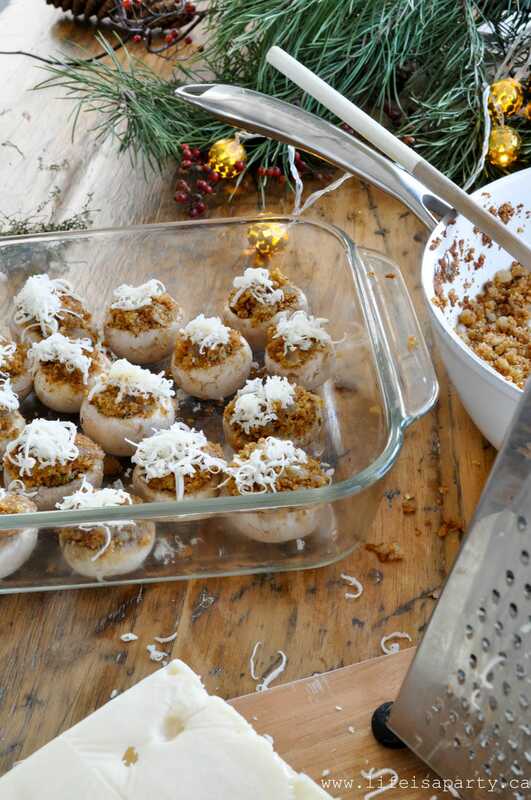 Place the stuffed mushrooms in a baking dish, top with some finely grated Swiss cheese, and bake at 350 for about 20 min. Serve hot. If you aren’t a fan of Swiss cheese, you can leave it off, but I love the little bit of cheesy goodness it adds. 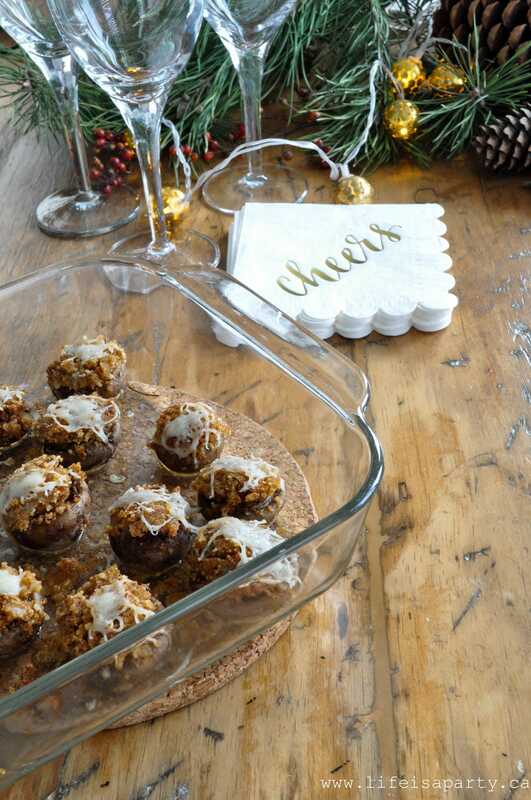 These are perfect for an appetizer evening, or as a starter before a holiday dinner. 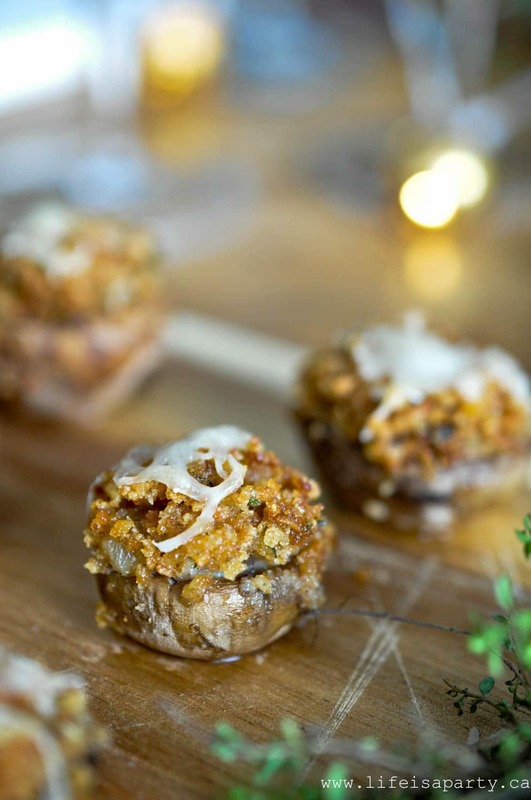 These stuffed mushrooms are like little mouthfuls of goodness! 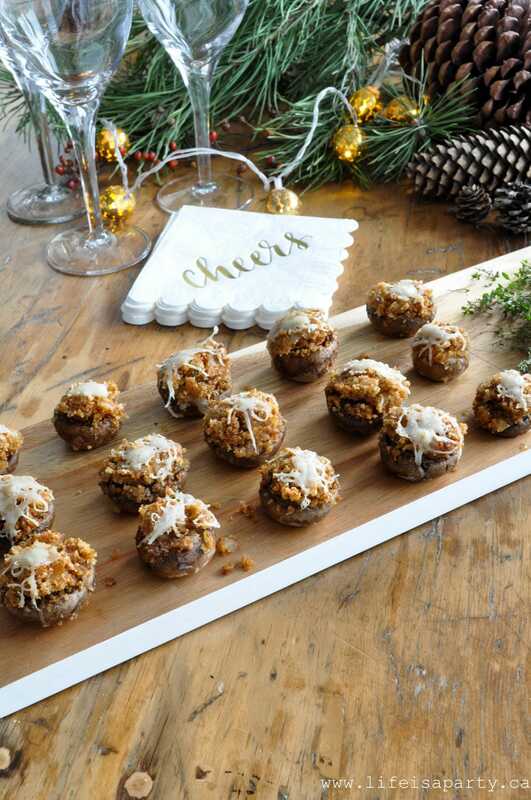 With these delicious stuffed mushrooms for holiday entertaining, life really is a party! 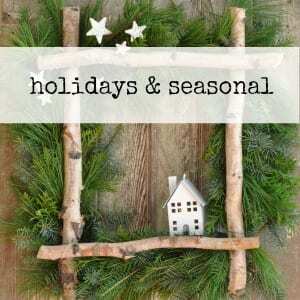 Special thanks to Jo-Anna of A Pretty Life for organizing this great Holiday Appetizer recipe hop. Stuffed mushrooms are my FAVE! 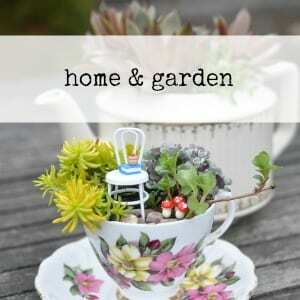 Especially classic recipes like this…love it! I love mushrooms and have never tried to stuff them. 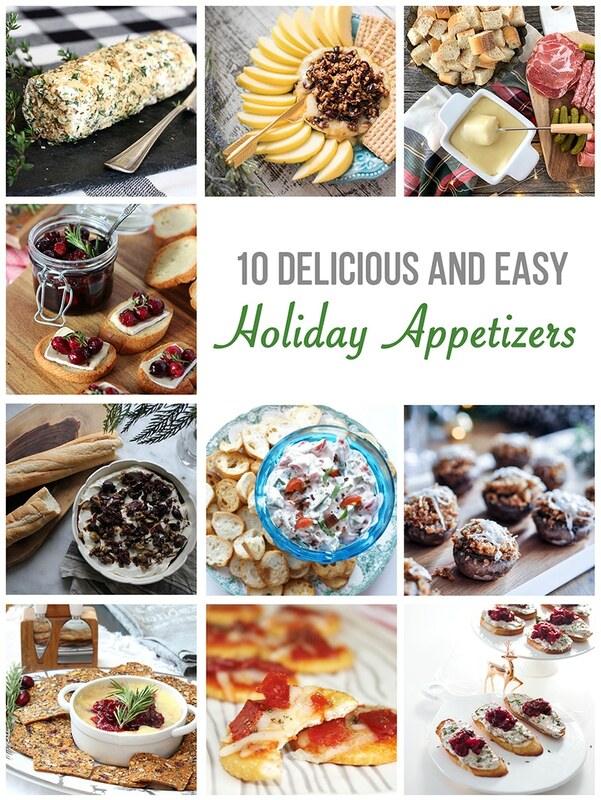 Glad to have all these great new recipes to try! I used to make stuffed mushrooms all the time and stopped. Why??? These look so delicious!